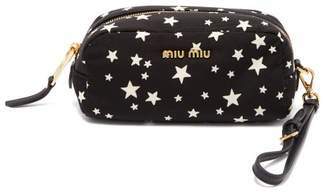 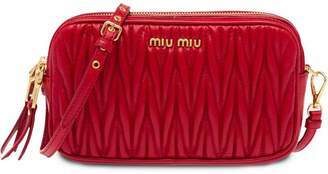 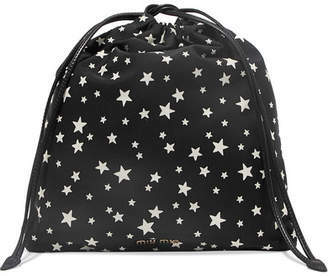 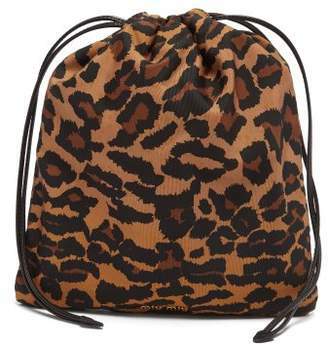 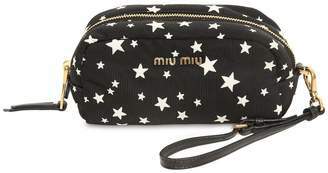 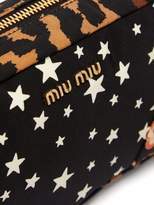 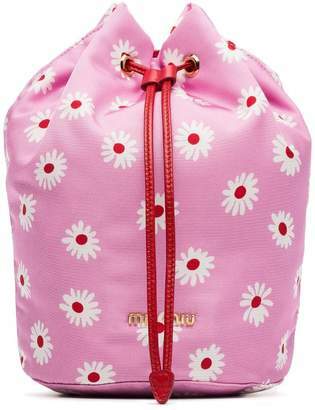 Miu Miu - Miu Miu’s eclectic aesthetic is showcased by this black wash bag. 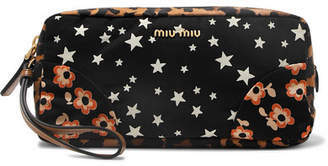 Made in Italy, the rectangular shape is constructed with leopard, star and floral-print panels and accented with a gold-tone metal logo plaque. 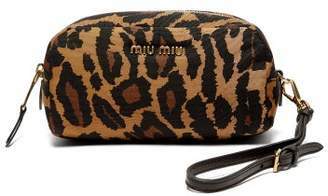 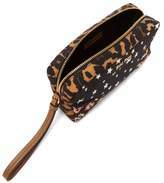 Use the tan-brown leather wristlet strap to carry it as playful clutch bag at an evening event.